Time of Music Festival (Viitasaari, FI) and Institut de Recherche et de Coordination Acoustique/Musique (IRCAM – Paris, FR) have commissioned a new piece for ensemble and electronics from Finnish composer Sampo Haapamäki. To prepare the piece Sampo Haapamäki works during 5 intensive periods at IRCAM studios with the computer music designer Serge Lemouton. Piece for 11 musicians and live electronics is premiered at Viitasaari, Finland in July 2018 at Time of Music festival programme by International Contemporary Ensemble (ICE, New York). Sampo Haapamäki (b. 1979) has composed chamber music, vocal music, electronic music, ensemble works, concertos and orchestral music. He has been commissioned compositions by Avanti!, Time of Music festival, Finnish Broadcasting Company/Radio Symphony Orchestra, Tapiola Sinfonietta, Helsinki Chamber Choir, Gaudeamus Muziekweek, Heikki Nikula, Nouvel Ensemble Moderne, Klangspuren festival, Hanna Kinnunen, Susanne Kujala and Kaustinen Chamber Music Week. 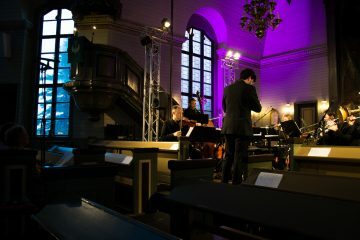 Haapamäki has received the Gaudeamus International Composers Award 2004 in Amsterdam, and the International Society of Contemporary Music (ISCM) – Young Composer Award 2005 in Zagreb. 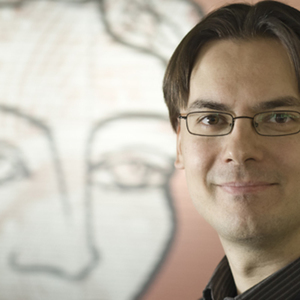 In 2006 he was granted the Teosto prize by Copyright Society Teosto in Helsinki. Haapamäki was the Tapiola Sinfonietta’s Composer-in-Residence for the season 2011-12. He had composition recitals in the Musica nova Helsinki festival in 2006 and at Scandinavia House in New York City in 2015. Haapamäki has lately been involved in the development of new quarter-tone instruments. The International Contemporary Ensemble (ICE) is an artist collective founded in 2001. 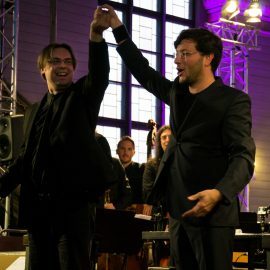 A recipient of the American Music Center’s Trailblazer Award and the Chamber Music America/ASCAP Award for Adventurous Programming, ICE was also named the 2014 Musical America Ensemble of the Year. The group currently serves as artists-in-residence at Lincoln Center for the Performing Arts’ Mostly Mozart Festival, and previously led a five-year residency at the Museum of Contemporary Art Chicago. 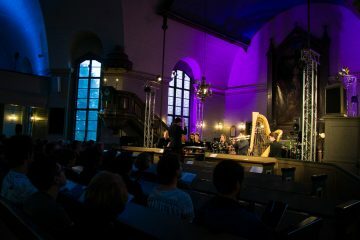 ICE has been featured at the Ojai Music Festival since 2015, and has appeared at festivals abroad such as Acht Brücken Cologne and Musica nova Helsinki. ut fringilla diam venenatis in elementum dolor ipsum eget porta. id, ante.